This little machine has been carefully engineered to be a true universal machine; it will pop almost any medication quickly and efficiently. 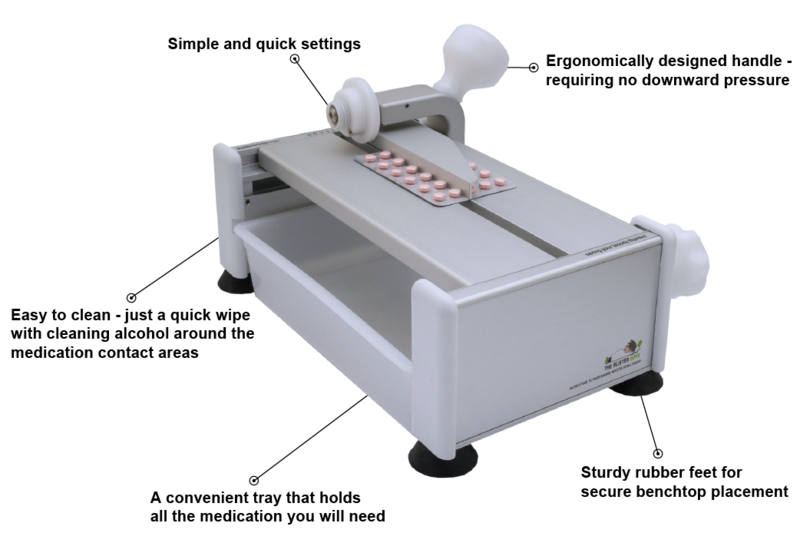 Its versatility makes it ideal for use in a pharmacy manual packing environment or large robot unit dose packing operations. With its high grade but simplistic design, the mini 2 has been crafted to be a long lasting quality product.